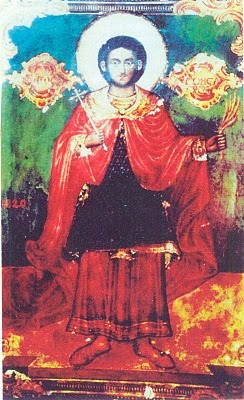 What we know of Saint Constantine’s early life are only a few brief facts, since fellow family members and Ottoman Christians at the time of his martyrdom, hesitated to speak about his very public confession which stirred much ill-will amongst Ottoman Hagarenes (Muslims) and Ottoman civil authorities. His own family from what research seems to indicate, distanced themselves from his persons to avoid any possible hate-mongering repercussions. Consequently we do not know Constantine’s original Hagarene name. 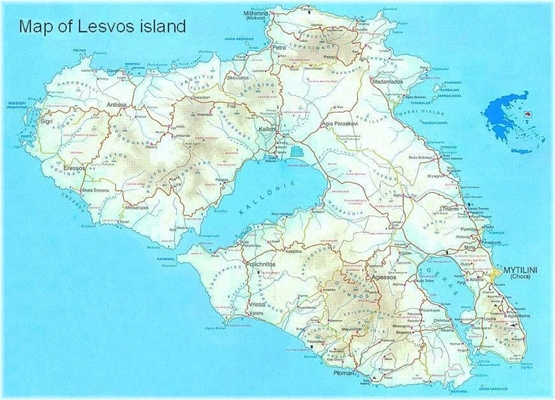 Nonetheless, what we can say for certain was that he was born to Turkish Hagarene parents in the village of Psilometopon on the island of Mytilene, where he spent his initial years growing up. Yet his fa­ther died when he was quite young, and so it was his mother who raised him singlehandedly and saw to his Mohammedan upbringing. One surviving account which relates one of Constantine’s early experiences of Christianity came when he was fifteen, and was afflicted with smallpox, causing him to go blind. A certain Turkish charlatan who was known as a man of medicine and magic, had ingratiated himself to Constantine’s mother, taking advantage of her despair in order to extract money by offering the false hope of healing her son. This charlatan proceeded to concoct a poisonous potion which was to be drunk by Constantine. Naturally the poison did not cure Constantine, but made his affliction worse, but the charlatan had made his money and disappeared. Nevertheless, there was a fellow villager, who knew well what a scoundrel this charlatan was, and was pierced to the heart by seeing the tragedy inflicted upon Constantine and his mother who had been deceived. This unnamed and pious Orthodox Christian woman, asked Constantine’s mother for permission to take him to a nearby Orthodox Christian sacred font (aghiasma) which was known in the region for its miraculous healing qualities. It was there, that this pious woman took Constantine and washed him in the sacred font, where he was cured. Not long afterwards, it seems that this event caused Constantine’s mother to choose to remarry. And so she and all her children moved to the city of Magnesia in Asia Minor, so as to reside with her new husband, in the hope of providing a proper and stable family environment. Unfortunately, Constantine’s stepfather, who was in name a Mohammedan (Muslim), was in actual fact a drunkard who was prone to violent fits, and would beat him and his siblings regularly. Compelled by this abusive environment, Constantine decided to leave home with his three brothers, who as it seems could not tolerate this evil either. But it was with his oldest brother that Constantine joined forces with, and to carve out a future on which both could stand independently. 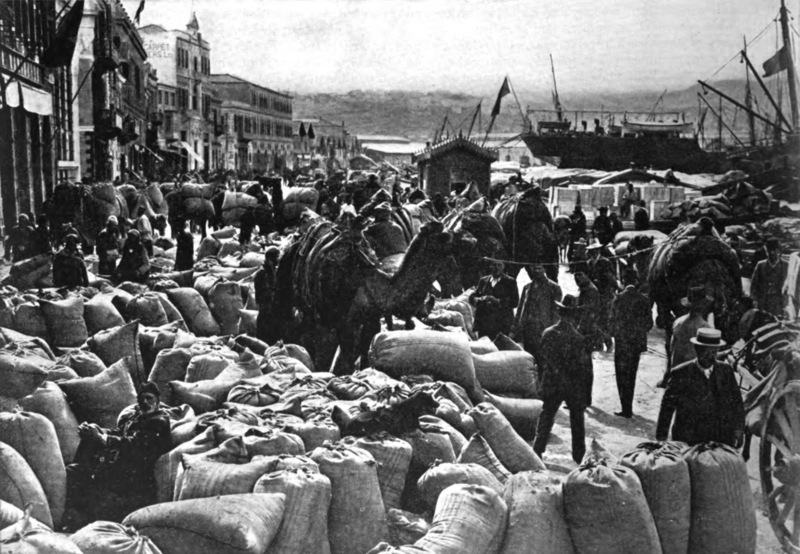 They sought to build this new life and possibly their fortune in the great cosmopolitan and mercantile city of Smyrna (Izmir), where many opportunities were afforded to those willing to work hard. And so Constantine and his brother opened up a green-grocers store supplying vegetables, fruits, herbs and other such produce of the earth. As part of the store’s business operations, it was commonplace for Constantine or his brother to make deliveries of the produce to residences and businesses. It was through this duty, that often took Constantine to the headquarters of the presiding Metropolitan of Smyrna, Kallinikos II. 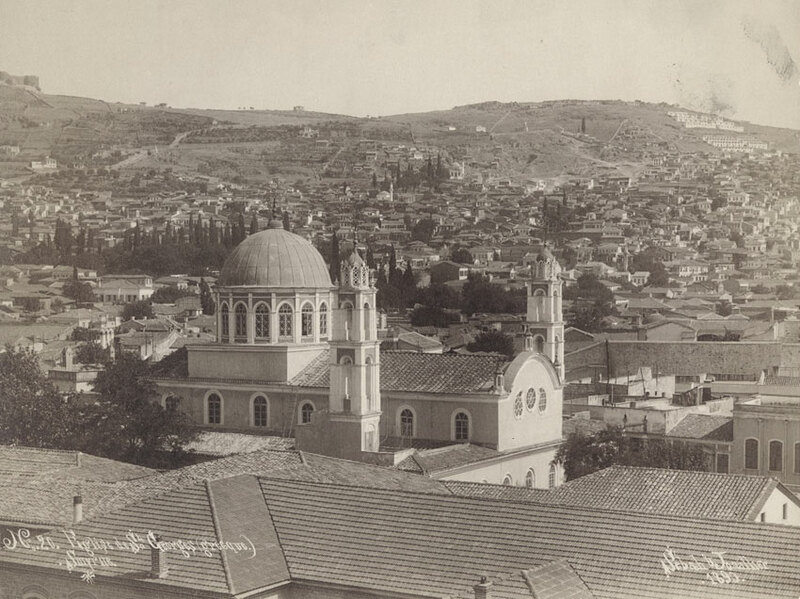 As he would deliver the fresh produce to this prominent centre for the city’s local Orthodox Christians, he would often stop and listen to the religious readings and lectures that would daily take place there. This of course was Constantine’s first real exposure to what Christianity was about, and what Christians actually believed, as opposed to the usual rhetoric spouted by Mohammedan clerics and writings. Slowly but surely he discovered that much of what he had been taught about Christians was false; and so the message of the Gospel began to gain his attention, and cultivate within his heart a love that gradually grew in strength. It was during this time, that Constantine made friends with two young Christian men, with whom he grew very close to. 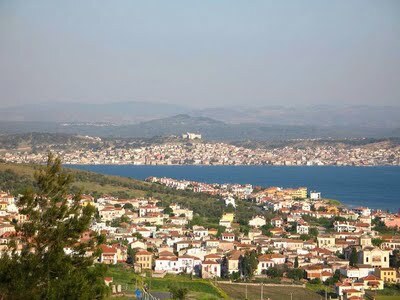 Quite some time later, during this phase of Constantine’s spiritual journey, the city of Smyrna was afflicted with a terrible plague that brought down and killed many of the city’s inhabitants. Constantine and his two Christian friends had by this time become very close. And during this great tragedy afflicting all of Smyrna, they decided to attend the Church of Saint George where they lighted candles, and prayed for de­liverance for themselves and for the city’s inhabitants. It seems that the All-Merciful Lord had a purpose assigned to these three young men, for they were delivered from the plague and survived to live their life. What happened to those two young Christian men afterwards though, we do not know exactly. This is because Constantine then cuts all ties with them, and becomes enmeshed with what people term “bad company” and “negative influences”. He thus gave himself over, and all his attentions to living a dissolute, debauched and prodigal life. What prompted this behaviour or the very form this dissolute lifestyle took, we cannot say for certain, since we do not have very clear details about this point of Constantine’s life. It could be speculated that in confronting death in the face of this plague, inspired him to try and revel in life before the inevitability of his own death. Yet we could also speculate that coming from the single-parent home environment and then the abusive home environment that he grew up in, may have had a psychological impact that played itself out in this prodigal period of his life. But whatever the case may be for this shift within Constantine’s phronema, it soon abandoned him in due course, and he came to his senses and, as it seems, compelled or inspired him to journey to the Holy Mountain. Constantine’s first stop was at New Skete, but his arrival heralded great unease upon the Holy Mountain since he was after all, a Mohammedan if not in practice, at least in name. When Constantine journeyed to the Monastery of Apostle Paul, the fathers there were reluctant to accept him, fearing repercussions from the Hagarene authorities, and so they passed on responsibility for his hospitality onto the Monastery of the Great Lavra, which also refused his admission. From there Constantine went on to the Skete of Saint Anna where he met and spoke with Father Chrysanthos. What was the content of this discussion we are not certain, but we do know that he left the Skete of Saint Anna with the intention to return to the Great Lavra. Yet along the way he changed his mind and sought to seek the counsels and hospitality of the fathers at Kafsokalyvia. It was at Kafsokalyvia that he met the monk Gabriel who advised him that it was wiser to return to the Great Lavra for the purpose of his journey. Nevertheless, the fathers of the Great Lavra were still hesitant in allowing him to stay with them, and once again Constantine was compelled to return to Kafsokalyvia. 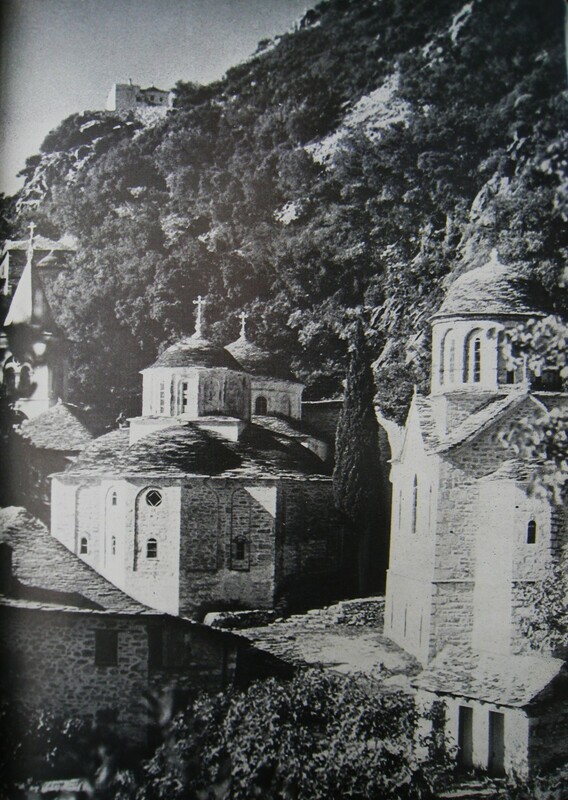 But it seems that this return journey to Kafsokalyvia was not in vain, for at that time, he was afforded the opportunity to meet Patriarch Gregorios V, who had been exiled into “retirement” to the Holy Mountain between his three tenures as patriarch. “Why did you, young man, come to us, the despised ones? What do you seek from us who have nothing, as you can see? Are we not the lowliest of all nations, whereas you [Ottoman Mohammedans] have the kingdom and the glory to enjoy all the world? 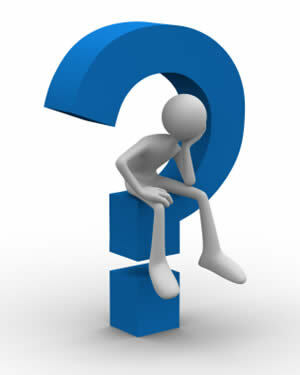 Why are you not satisfied when so many desire to enjoy the temporary life which you seem to despise. Come to your senses”. 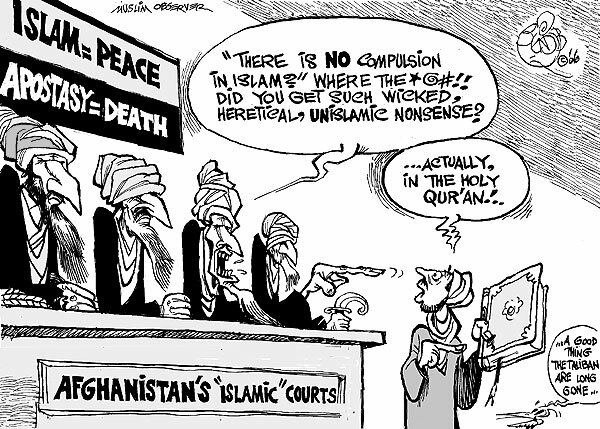 Now we must remember that this line of questioning and reasoning had a very important focus, in that even talking about the possible apostasy of a Mohammedan meant automatic death to the Patriarch and to Constantine, as dictated by many Quranic verses, the Hadiths, Sharia law and the interpretations of Hagarene religious-legal scholars. As one such teaching poetically puts it, “He who seeks to become an apostate must either recant his course of action in order to receive God’s salvation, otherwise others must spill his blood in order that he may enter into Paradise”. And of course Patriarch Gregorios was cognizant of this very fact, but as a spiritual father he also had a duty to remind Constantine that to become a Christian meant, becoming a “dhimmi” and living under the conditions of dhimmitude. That is, as a non-Mohammedan, he would be enslaved under the yoke of the discrimination of the law and the civil authorities, as well as the popular prejudices of the Hagarenes and the general inequalities of life. Under this circumstance, his words would not carry the same weight within a court of law before a Mohammedan, even if they were lying and bearing false witness against him. He would be expected to pay the extortionist taxes like the harach (jizya) imposed on dhimmis, and to pay hefty bribes to avoid courts or secure essential services from civil authorities. If a Mohammedan sought his hospitality he could not refuse him, but was expected to attend to him for at least three days and to grant any object in his possession which they may like. As a dhimmi, if he had children, he would be expected to surrender them to the local civil authorities, who took them to be raised as janissaries in the service of the empire and jihad, which would usually be employed against him and all his fellow brethren. This and many more things were the lot that a Christian in the Ottoman empire could expect, and so it was only right of Patriarch Gregorios to challenge and remind Constantine, what he was asking of him. And as a true spiritual father must ensure, as did the Patriarch, the decision for Constantine to enter into the Faith was not based on deception, or through clever argument using rhetoric or dialectics, but to present the truth and allow for freewill within such a critical decision. And it seems that the very words of the Patriarch did exactly just that, for they pierced right through Constantine’s heart, causing him to break out into tears. 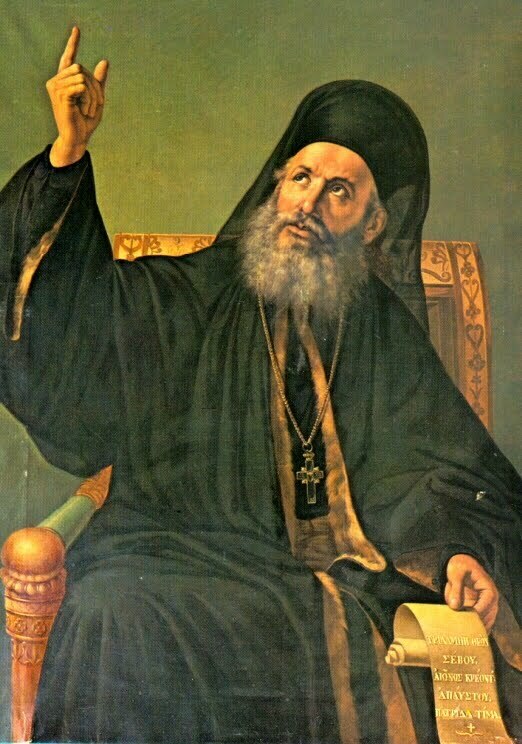 We are told that Patriarch Gregorios was moved by Constantine’s faith and sincerity, prompting him to instruct Constantine: “I will come to Kafsokalyvia in six months time, and I will baptize you. During this six month period I instruct you to only prepare yourself, keep yourself pure and above all, tell no one”. Subsequently Constantine returned to Kafsokalyvia and awaited the Patriarch’s arrival, but as the months wore on and the Patriarch was delayed by other pressing matters, Constantine grew impatient. His elder though, seeing the unhappy condition under which he labored was grieved with pain, for he saw the deep sincerity of the young man’s faith and readiness to become a Christian. And so the elder proceeded to baptize him and bestow the name Constantine. It is said, that at his baptism, a brilliant piercing light shone from his face when he came out of the baptismal font. Some observers noted, that henceforth, he began to dwell within the skete as one who was free of the body, and not restrained by its physical limitations or illnesses. Not long afterwards, Constantine travelled to Iveron Monastery so as to venerate the miracle-working icon of Theotokos “Portairissa” (Keeper of the Portal), and then proceeded to journey to the Skete of St John the Forerunner. It seems that around this time, Constantine had already acquired the desire to bear witness to the Faith through martyrdom, because it was at the Skete of St John’s that there was an experienced elder who had prepared many faithful upon this path of Christian proclamation. As Constantine dwelt at St John’s, the relics of various Neomartyrs arrived, which further inspired his desire for martyrdom, but it seems the elder who he had sought instruction from, had refused his request to enter into training for martyrdom. And so Constantine returned to Kafsokalyvia with great sorrow, whereupon his own elder enquired as to the reason for his depression, to which Constantine answered: “There is no other reason for my downcast look except that I reverenced the relics of the Neomartyrs, and my soul became completely attached to them. My mind became captive as you see me now, and the desire to imitate their deeds occupied my spirit”. Upon hearing the response of his disciple, the elder glorified God, proclaiming: “Blessed be God, my son, if this is to your liking; only God the omnipotent will initiate and end what you will do”. As a result, the elder invited a spiritual father to begin Constantine’s preparation for martyrdom. Constantine began this preparation with strict ascetical labours that the elder designated to him, while maintaining a strict fast for forty days, consuming only one meal per day. Yet a vision from the Lord, directed Constantine upon another course, causing his fervor for martyrdom to cool. What this vision revealed exactly, we are not informed in detail, but from existing evidence from eyewitness accounts and Constantine’s own life; it seems that the vision had directed him to evangelise his own family. Thus, after time spent in further spiritual preparation, he approached his elder to offer his confession, and receive permission to carry out the vision’s commission. And so, Constantine made plans to return to Magnesia in Asia Minor, so as to visit his family, particularly his sister, with whom he wished to share his faith in Christ and encourage to accept baptism. 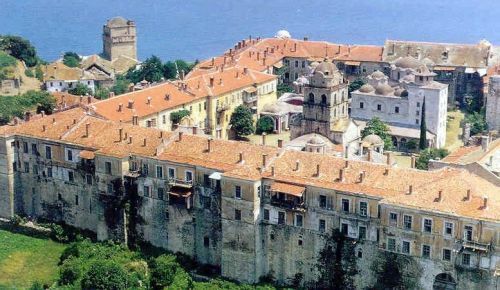 Secretly carrying letters of recommendation from Patriarch Gregorios V which he was asked to relay, he sailed to Kydonies (Ayvali) with the intention of going onto Smyrna (Izmir), before proceeding inland to Magnesia his intended destination. But when he arrived at Kydonies, there were no available ships which were intending to sail immediately for Smyrna. As he awaited during this interlude, Constantine began selling raisins and other dried fruits on the streets of Kydonies so as to support himself, until a ship bound for Smyrna could be found. That night, Constantine was unable to sleep, and decided to find another manner to depart from Kydonies in the morning, so as to fulfill his commission. Providentially, as dawn broke, he was able to find a ship that was bound for Smyrna. But as he boarded it, he was observed by the same Mohammedan who had identified him, and had given orders to the ship’s captain to have him put off the vessel, whereby Constantine was taken to the local Aga for questioning. When presented before the Aga, the Aga enquired as to who he was and how he had arrived in Kydonies. To which Constantine replied, “I have come from afar and I am on my way to journey through Anatolia. 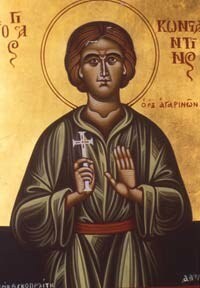 I am an Orthodox Christian and my name is Constantine”. To this witness, Constantine responded boldly and in a loud voice, “Yes, I am a Turk and I was a Muslim like you impious and lawless ones. But because I was enlightened by God, and was informed that your religion is transient and that only the Orthodox Faith is true and pure. And because I recognised my own spiritual and eternal well-being, I therefore became an Orthodox Christian to gain eternal life”. Upon hearing this brave confession of faith, the Aga promptly ordered Constantine beaten and imprisoned until he came to his senses. He then wrote to the Aga of Moschonesia, requesting his presence to attend to a matter of grave concern. When the Aga of Moschonesia arrived, he was informed about Constantine’s apostasy from Islam, and so Constantine was brought before him too for questioning. When Constantine also refused the urgings of the Aga of Moschonesia to recant, he was severely beaten and thrown once again into prison, whereby many Christians sought to visit him in secret, (often bribing the prison guard, so as to gain an audience with this pious man). In exchange, Constantine would request these fellow Christians to pray on his behalf, so that he would remain faithful to God even on pains of death, if or when such a likely scenario would arise. In the interval, the Agas commissioned the same man who had tortured Neomartyr George of Chios (26 November), so as to apply his sadistic and painful “talents” upon Constantine. The fertile imagination of this depraved soul, devised an iron hat that was heated up to the point of red-hot to be placed upon Constantine’s head. Then lead balls wrapped in a band were pressed up against the temples of Constantine’s head, so as to cause his eyes to drop out of their sockets. As sickening and sadistic as this may sound, it was thus so, but Constantine realising what was at stake, remained steadfast in the face of such inhumane and painful torture. A few days later after surviving this ordeal, Constantine was brought before the local vali (judge), as custom dictated, in order to afford him the “chance” to reconsider his stance and be granted his freedom, as Sharia Law required of apostates who recant. Yet Constantine was in no mood to compromise or forsake his Christian Faith, especially after his ordeals, hence he resolutely answered, “You are truly tyrants, wild animals, and not rational human beings. But untie me and I will show you who I am”. He was thus untied, and he immediately made the sign of the Cross and declared in a loud voice, “Did you see who I am? So please do not think I will change my mind and become like you”. Whereupon the Aga of Moschonesia, seething with rage, took out his knife and cut Constantine cross-wise upon his chest. But at that moment, Constantine’s clothes tore and a gold Cross appeared on his chest. This naturally infuriated all the more so the Mohammedans who were present there. And so they fell upon Constantine like a pack of wild beasts, beating him senseless. On about the 23rd of April 1819, he was beaten senseless again, but this time the Hagarenes proceeded to enclose his feet in stocks and bound him with chains. When night came, they suspended him from the ceiling using his shackles. This sort of treatment was meted out to him daily, along with the numerous temptations and apparitions that Satan threw at him day and night. Yet even in these difficult moments, God grants comfort and strength to the valiant. In Constantine’s case, it was a young Christian boy who would visit him in prison, encouraging him to fight the good fight, by relating the exploits of Christ’s martyrs. In the meantime, the faithful of Kydonies, would gather in the local churches to offer fervent supplications and prayers, for strengthening and deliverance of Constantine into God’s hands, while enduring his confession of the Faith. The Saint himself, on one particular night had a vision of the Theotokos, who greeted him as a faithful servant of her Son, and the glorious conclusion of his struggle for the Faith. But she also informed him of the imminence of the catastrophe that would befall Kydonies for the evil of the Agas and their retinues, and would thus be delivered up for martyrdom elsewhere. In due time and in line with the vision, the Aga of Kydonies, realised that Constantine could not be coerced or persuaded to deny his Orthodox Christian Faith, decided to send him to Constantinople, so that he could be examined by the Admiral of the Fleet. Yet position, rank or authority are not things that committed serious Christians like our blessed confessor of the Faith, Constantine, give heed to or are swayed by. Thus our blessed Constantine, remained steadfast before the duress that the Admiral applied against him, but the Admiral frustrated in his efforts to break Constantine, sentenced him to be incarcerated in a bath-house, where he would be subjected to extremes of hot and cold in the stone tiled environment. Nonetheless, Constantine was strengthened by a visit from a spiritual father who counseled him out of concern, “To witness is a good thing, Constantine, but think well on how painful the tortures of the infidel Mohammedans are. Perhaps you will weaken later and fail in your confession of faith. If you wish we can secure your release and ensure that you can remain Orthodox”. However, Constantine replied to the well intentioned spiritual father, “Holy father, look at me”. He then pushed aside his tunic to reveal the scars upon his secret parts and thighs. As the spiritual father observed, from the many tortures Constantine had undergone, there were huge lacerations on both sides of his legs, both in front of his body and behind which would have caused him unimaginable pain. Seeing this, the spiritual father reverenced Constantine who said to him, “See that no one dares give any money to free me because in a few days my struggle will end as the Theotokos has revealed to me. But please give His All-Holiness, Lord Gregorios (the Ecumenical Patriarch) my greetings – he knows who I am – and I ask him to pray for me”. The next morning Constantine was interrogated once again, but remained faithful to Christ and was beaten once more. At the third questioning however, a different approach was adopted. Constantine was offered a high ranking position and immense riches, but to this he said, “Admiral, if you too were to come to recognise the interest of your soul, you would also be an Orthodox Christian”. To which the Admiral hit Constantine on the chin, ordered him out of the room, and immediately sentenced him to death. Saint Constantine’s ordeal of bearing witness to the Faith had lasted for over forty days. After he was hanged, out of spite and to cheat Constantine’s desire to be buried amongst his fellow Orthodox brethren, he was buried in a Mohammedan graveyard. Their reasoning was due to the fact that Constantine had been circumcised, but the real reason as we know, was to deny the Orthodox faithful access to his body and accord him the usual honours of a martyr. Furthermore, I am not certain as to whether the Orthodox faithful were ever able to locate and retrieve the remains of Neomartyr Constantine the Hagerene Apostate, as his place of repose was never disclosed to anyone, while many cemeteries in Istanbul have made way for building developments since his time of witness. 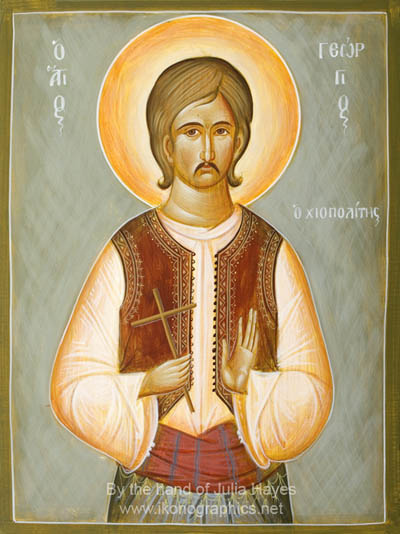 But one thing remains unchanged, which is that Neomartyr Constantine the Turkish Hagarene Apostate from Psilometopon of Mytilene, sacrificed his life in the imperial city of Constantinople for the love of Jesus Christ on June 2, in the year 1819. Eternal is thy memory. You gladdened the whole choir of the faithful, and despised the root of Hagar, and radiantly proclaimed piety, and suffered unspeakable tortures, O Constantine, the pride of Martyrs. Having been granted what you desired, O ever-memorable one, remember those who honour You. Μνήμη τοῦ Νεομάρτυρος Ἁγίου Κωνσταντίνου Ὑψηλομετώπου τοῦ ἐξ Ἀγαρηνῶν. Πᾶσαν ηὔφρανας, πιστῶν χορείαν, καί κατήσχυνας, τούς Ἄγαρ γόνους, ἀνακηρύξας λαμπρῶς τήν εὐσέβειαν, καί ὑπομείνας ἀνύποιστα βάσανα, ὦ Κωνσταντῖνε Μαρτύρων ἀγλάϊσμα. Ὡς οὖν ἔτυχες, οὗπερ ἐπόθεις ἀοίδιμε, μνημόνευε ἡμῶν τῶν εὐφημούντων Σε. The memory of your struggles has dawned on the Church of Christ as a bright light, and filled it with light, O seal of Martyrs, glorious Constantine, for being delivered from error, of the root of Hagar, you shone richly on the souls of those who in faith, celebrate your memory, O ever-blessed one. Ἔτερον. Ἦχος δ΄. Ταχύ προκατάλαβε. Φωσφόρος ἀνέτειλε, τῆ Ἐκκλησία Χριστοῦ, ἡ μνήμη τῶν ἄθλων σου, φωτός πληροῦσα αὐτήν, Μαρτύρων ἐκσφράγισμα, ἔνδοξε Κωνσταντῖνε, λύουσα τήν ἀπάτην, γόνων τῶν ἐκ τῆς Ἄγαρ, λάμπουσα δέ πλουσίως, τάς ψυχάς τῶν ἐν πίστει, τήν μνήμην σου τελούντων ἀειμακάριστε. I personally would hasten to add, that the Greeks and other Balkan peoples tend to forget what the nature of Ottoman governance and Islamic rule actually meant. The Europeans, Americans and the Australians may be oblivious as to what it means to live under the conditions of dhimmitude, but that is because they have never experienced it firsthand, and thus may have an excuse (except maybe Spain, Portugal and Russia). 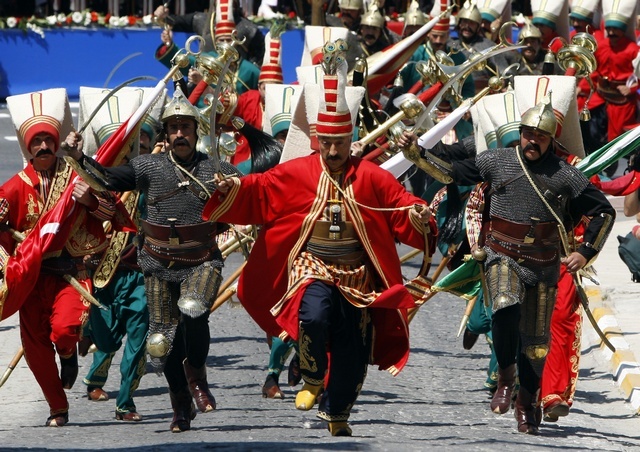 Of course, it is interesting to observe how Ottoman apologists often denounce peoples like the Armenians for their “betrayal” of the Ottoman empire by siding with the Russians in the various wars that took place between the two empires. But what does one expect when a person or an entire people will do, when they are always treated as second-class citizens and traitors who are terrorised, humiliated and beaten into submission? Will not such a people turn to someone for protection, if not for help to gain their freedom from tyranny and oppression? In any case, in returning to the European context, the experience of Islamic governance beyond the Balkans occurred within Portugal, Spain and Russia. The Russians have historically always adopted a very firm but fair stance with regards to Islam, since the emergence of the very nation was born in the wars against Tartar, Circassian and Mongol Mohammedan invaders who ruled over them for many centuries. As for the Spanish and Portuguese, they may not recall the experience of dhimmitude as easily, since so many centuries have passed, and it is not helped by the popularisation of historical mythology that touts their some 600-800 year enslavement as a golden era of tolerance, cultural development and peace. Yet is there neither mention given to the oppressive role that Jewish immigrants brought from the Middle East by the Arab-Moorish conquerors, played in the Iberian peninsula. A role which fostered a very nasty backlash of Anti-Semitism in the period of liberation and the Inquisition within both Spain and Portugal. However we should mention that things were worse in Spain, whereas the Portuguese did not adopt such an extreme hard-line approach, but instead were more inclined to turn a blind eye to the Jews, send them to the colonies or expel them. Many of those who were expelled were resettled by the Ottomans in their dominions and played a crucial role in oppressing and persecuting Christians there, thus repeating as a community what they had done in Spain or Portugal and which was blessed by the sanctions of the misanthropic Talmud that calls for such treatment of Christians. Those who settled in the West, especially in Holland, virtually monopolised the Trans-Atlantic slave trade, and thus regaining their lost wealth. But these points are better dealt with in another article. That is, the strict vegan diet of vegetables, pulses and dry bread, without oil, margarine or any other sort of condiments.